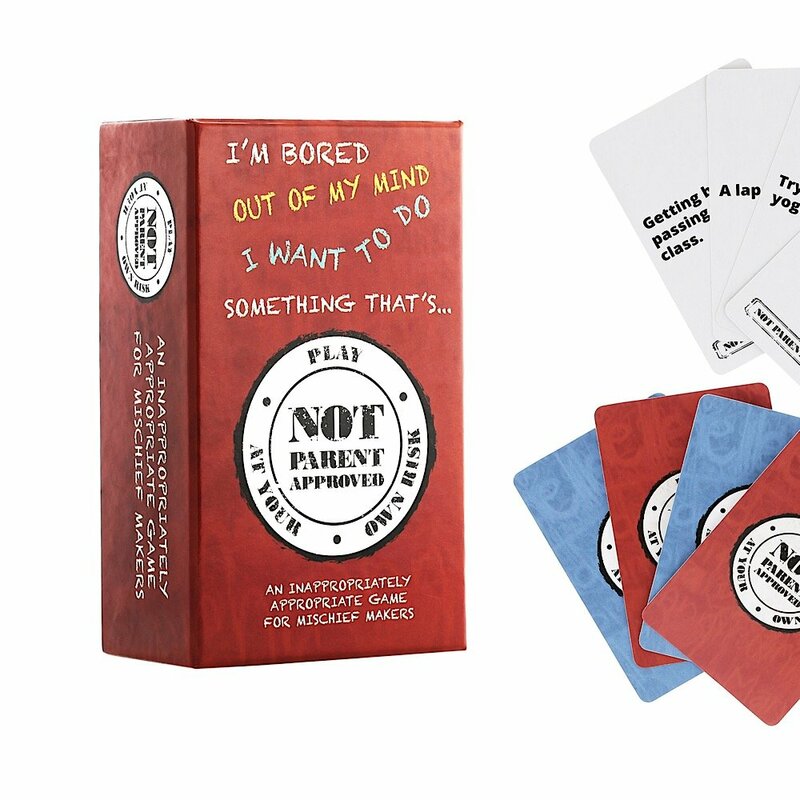 “Not Parent Approved” is a hilarious new card game that draws on bad manners and naughtiness to generate laughs. 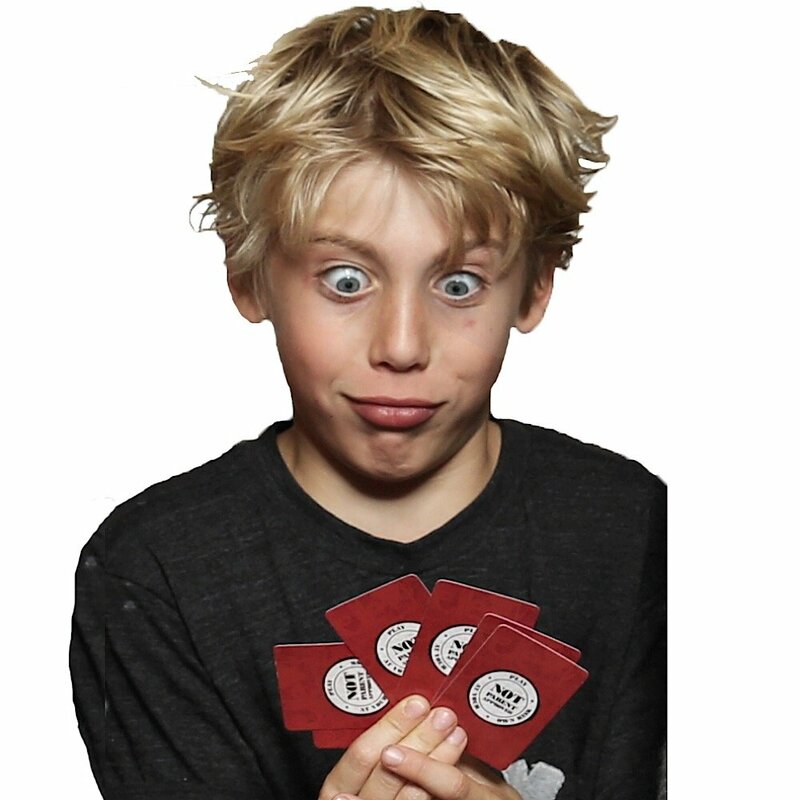 Not Parent Approved is a hilarious new card game that draws on bad manners and naughtiness to generate laughs. Two corporate marketing moms created the card game after being exasperated by what they were witnessing in their neighborhoods. Stacy Katz and Maximina Revis discovered in their research that the average 8-to-10-year-old spends nearly eight hours a day with a variety of different media, and older children and teenagers spend more than 11 hours per day, according to a2013 policy statement on Children, Adolescents, and the Media,” the American Academy of Pediatrics. The 455 cards (105 questions and 350 answers) involve cultural references from Taylor Swift to wedgies. Best of all, it’s offline requiring no plugs, cords, earbuds or charging. Kids must look at each other and interact in conversation. When the kids are bored, this is an excellent card game to open up. It’s 100% family-friendly despite the awkward name. Two mompreneurs designed the card deck to reintroduce a love of tabletop games for a screen-obsessed generation. It is certainly attention-grabbing while quick, simple play for every tween, teen and college kid in the household. 455 cards, for 4-10 players. Game play takes 6-60 minutes at each other and interact in conversation. Since making a splash in the toy world, “Not Parent Approved” (which retails for $24.99) has won the approval of many toy judges and award accolades from Dr. Toy 100 Best Children’s Products, National Parenting Product Awards 2016 Winner, Scholastic Parent & Child Gold Star Toy and Tillywig Toy Awards’ Best Family Fun Award Winner, The Wall Street Journal and more. Recently co-inventor Maximina Revis discussed the game and her hopes for its future. “Not Parent Approved” is a fun game for the whole family. Meagan Meehan (MM): This game is a lot of fun, how inspired by “Cards Against Humanity” were you? Maximina Revis (MR): Extremely inspired, but we wanted a version that we didn’t have to chase the kids out of the room to play. MM: Why did you decide to create a game together and how long did it take to put together? MR: Stacy came up with the idea of creating a kid-friendly version of CAH. I was a former employee of Mattel with lots of experience in the toy and game industry, so Stacy thought it would be a good idea to partner together. It took Stacy and I a few weeks to write the content, another few months to test it with kids and families, then another few months to refine and perfect the final set of cards to include in the deck.MM: What were the challenges of starting the company and getting the game into stores? MR: We didn’t try to get the game into stores. We decided to sell direct-to-consumer through Amazon.MM: How did you think up the content for all these cards and do you have any special favorites? MR: Both Stacy and I have kids that were right in the sweet spot for the games age target (8-12) and we’re also both pretty goofy. MM: Some of the cards list kid’s names on the bottom, did you run a content contest at some point and were these the winners? MR: We ran a couple of campaigns and asked kids and families to contribute and printed the ones we liked best? MM: The blank card element is brilliant, so whose idea was that? MR: Consumers asked for it and CAH offers a blank set too. MR: We love going to consumer toy fairs and having real people come up to us who absolutely adore the game. We also love reading reviews on Amazon about how the game inspires so much gut-wrenching laughter and how it brings multiple generations of a family together in a fun and memorable way. MM: Overall, what are your biggest goals for the future of the company? MR: To sell a million games and have it be a classic game that never leaves the toy shelf. MR: The true inspiration for creating this game was to provide an alternative to screen time and reintroduce a love of tabletop games for a screen obsessed generation. Less screens…more laughs and more face-to-face fun! To learn more, visit the company’s Twitter, Facebook, Pinterest and Instagram. “Not Parent Approved” was created by two moms and, despite the name, it’s a very family-friendly game.